introductions. Classic uncluttered elegance, or foiled, embossed, laminated, or rounded corners to match your brand. Business cards available extra quickly when needed. - so printing shown onsite is customer approved. office, manufacturing, wholesale or retail space. A0 (shown here), and other sizes 2A0, A1, A2, A3 etc. with variable data printed cards attached shown. Simple or complex - lets talk. Do we print ... ... yes we do! We do mailouts for customers - research shows individualised marketing achieves much higher conversion rates and therefore higher ROI. Yes we do, see above. Tabs & dividers, spines and covers for folders and ringbinders? Printed dividers are a standard request, and we also produce other complex folders/ manuals. Yes, both small and large on either gloss or matt, full colour, or black only. We often print conference materials for overseas and NZ companies and have them delivered to hotels or other addresses in New Zealand. NCR invoice and ticket books? NCR (no carbon required or carbonless) books and booklets. Yes, duplicate or triplicate, A5 or A4, portrait or landscape, numbered or without. Vouchers/ Tickets with sequential numbers? Vouchers, tickets or gift certificates - individually numbered and perforated if you would like too. 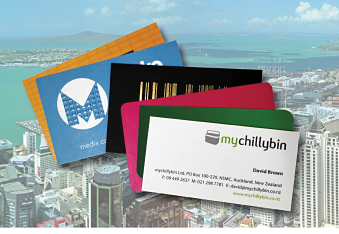 Typically business cards are 90x55mm in New Zealand, and typically printed on 300gsm or 350gsm art stock at Copy Colour, and yes we can round the corners and laminate them. Counter Cards/ strut cards/ standees/ mounted A5, A4 and A3? They have many names and yes we print them, A4 strut cards are a great P.O.S tool, and you can ship them in C4 envelopes nationwide. We produce A2 through to A0 posters and custom sizes on 195gsm photo paper or 180gsm uncoated art stock - using an 8-colour pigmented printer. This means you get the BEST posters around. We also produce posters on cheaper stock for when you want a more cost effective option. Paperback books are perfect bound, usually printed on 80gsm unoated paper, with a 210gsm full colour cover. Saddle stitched books & booklets are stapled, and usually printed on 80gsm uncoated paper, with a 160gsm or higher full colour cover. Max number of pages is 80, great for fashion look books (lookbooks), annual reports, manuals etc. Looking for Images for Commercial Use? For a prompt quote, or answers to your print questions, email David at fast@copycolour.co.nz or phone 09 449 2637.
and almost every printed thing in between! Need printing faster? Let's talk! Have a Print Query, or Need an Urgent Printing Quote? The (Ed. fashion) magazine proof looks awesome, Courtney. "Thank you so much for the great job on my business cards. I am so happy with them! They look so great!! Shileigh, North Shore. 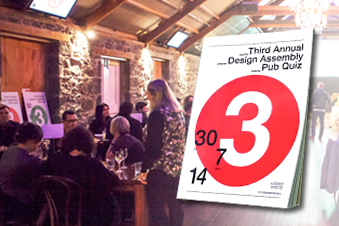 "I have just checked with the conference venue (Ed in Auckland) and all the printing has arrived. Thank you for everything, you have been a breeze to work with" Sarah, Perth, Australia. "These (brochures on linen stock) arrived in the office this afternoon and they look BRILLIANT! Thanks so much for doing such a great job and at short notice. Much appreciated." Jennifer Auckland, CBD. 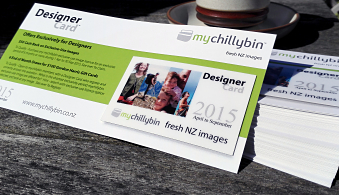 What to Expect from Copy Colour Printing - Commercial Printing Company in Auckland. 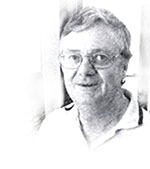 Personal service from David, with all printing carried out after full colour calibration to media, and using high quality production equipment. Need it quickly? We like to solve customer lead time problems whenever we can, so give us a call as we may well be able to assist. Lead time typically 24 hours (or less) weekdays, for digital printing not requiring specific finishing steps. Allow extra time for any needed creasing, folding, pad making, laminating, saddle stitching (stapling), hot gold or silver foiling, die cutting, booklet making , brochure making, plastic and wire binding, book binding, applying double sided tape, buckram thesis foiling & binding, making wobblers, poster mounting, and for offset printing. * Uncoated and coated stocks 60gsm to 350gsm in matt, satin and gloss. * Self adhesive (stickers), clear, backlit, tracing paper, and other specialist stocks. * Textured stocks for invitations and weddings etc. * 100% cotton archival and other stock for fine art. All jobs are individually priced, without obligation - usually within 1 work hour of a quote request being received. Also happy to supply indicative prices early in your print project too when needed. * For wide format posters and photos, from one copy. * For fine art prints, from one copy. * For business cards, A6, A5, DL, DLE, A4, A3, SRA3, 330 x 480mm, quantities typically, 250, 500 or 1000, but from one hundred copies, upwards to tens of thousands. Please Ph (09) 449 2637, or email David at fast@copycolour.co.nz if you are looking for quality printing, and personal service in Auckland. 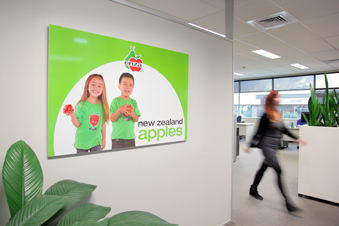 Choosing an Auckland printing company ... and loving the outcome! Identifying the best company to print for you can be a duanting task. The key to a great outcome everytime is to use a printing company who will ensure the most appropriate option of printing technology, machine, and team are used for each print task. Regardless of whether that best option is located in-house, elsewhere in Auckland or New Zealand, or even offshore. We call this print match-making, and use this process for all our clients - from sole traders to industry leaders. Many long term repeat clients (some since 1990) are evidence of the effectiveness of this approach. You too can try this Copy Colour print match-making service, and love the outcome. Worth taking a good look at! Like to expore this further? Would you prefer email messages, a telephone discussion, or an office visit? Either way, just let us know. No selling pressure, just information-rich service, and fast response quotes. Love the outcome ... more compliments from customers! sundry - NCR, variable data printing, scanning, event tickets, tickets wtih serial numbers, adhesive labels, look books, laminating, fanapart. Brokered or broking of offset printing in black and white, or 1 thorough 8 colours, and webprint materials ... and much more. Many customers require fast response printing so inventories of media are maintained. Sizes include A2, A1, A0 and custom size printing up to 1,500mm wide. Digital print sizes up to 330 x 480mm. Typically SRA3 (320 x 450mm) for black and white (grey scale), and full colour printing. Typically cut down to finished sizes DL, DLE, A6, A5, A4, A3, and all in between sizes. Laminating in either matt, gloss, scratch resistant matt, or hi-touch laminates. Environmental credentials of these stocks can be supplied on request. Phone +64 9 449 2637.